For the Amish, the day after Christmas is for family, feasting, and exchanging simple gifts. And for three different couples, it will bring another precious chance for love . . .
Amish nanny Hannah Eicher never thought shed ever see Rob Prince again. There was no way a relationship between her and the handsome English fireman could overcome her familys objectionsand their personal differences. But when he saves her from a sudden blaze, Hannah longs to see if they can turn holiday hope into a lifetime of happiness . . .
Shes too outspoken to be a proper Amish wife. So as advice columnist "Miss Amish," Maggie Lapp helps Amish and English with their romantic problems. But when her tradition-minded former fianc&eacute; accidentally reveals her secret, Maggie will need more than a miracle to make things rightand find a perfect love for all the Christmases to come . . .
Rachel Miller won't let her disability keep her from selling heirloom plants and proving she can be independent. She certainly doesn't need reckless Joseph Webber working at her greenhouse to pay off a disastrous Rumspringa stunt. But she and Joseph have more in common than they thinkand their surprising holiday partnership might just blossom into forever joy . 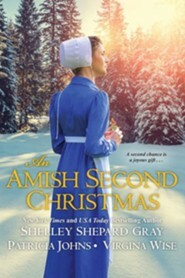 . .
SHELLEY SHEPARD GRAY writes Amish romances for Kensington and Simon & Schuster and contemporary womens fiction for Blackstone Publishing. Her novels have been Holt Medallion winners as well as Inspirational Readers Choice and Carol finalists. Shelleys novels have appeared on both the New York Times and USA Today bestseller lists. She lives in Colorado Springs and writes full time. Shelley is married, the mother of two young adults, and is an active member of her church. Shelley is active on Facebook and Twitter. She also has a website, www.shelleyshepardgray.com. VIRGINIA WISE is the author of the historical Amish New World series. Her favorite pastimes include exploring history museums and Lancaster Countys Amish country to inspire her and help her connect readers to timeless romance stories from the past and the present. 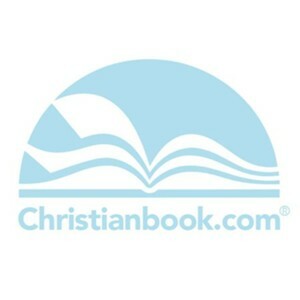 Visit her online at VirginiaWiseBooks.com or follow her on FaceBook, Instagram, and Twitter.